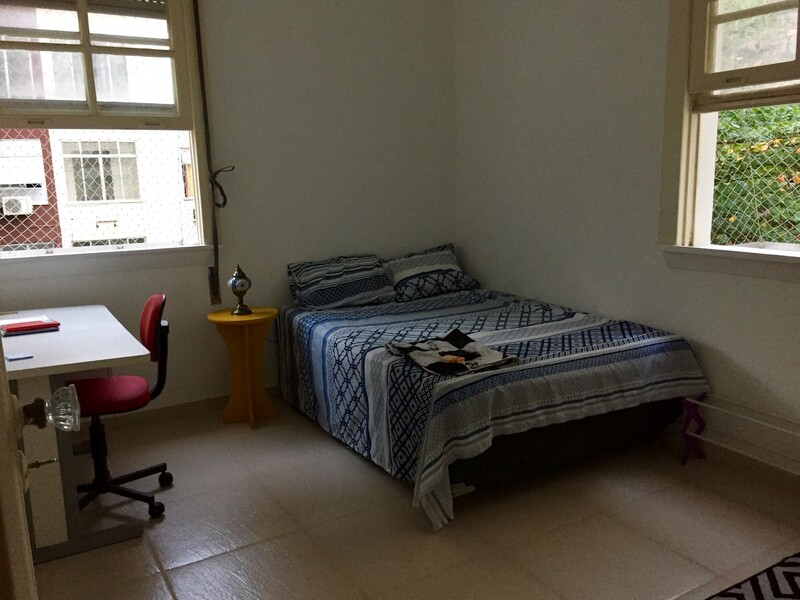 I have a large apartment in a safe area of Rio, a spot close to everything and bus stop by the door. We also have nice bars and restaurants nearby, and also the most famous hotel in Rio: Copacabana Palace. I'm from Rio so I can offer a lot of tips and take you out to nice places of town. I'm really easygoing and respect is the most important thing. The house is for young people so we can give parties and have a nice time as well. We also have a room for studies, laundry a good kitchen and a large living room with netflix! I've lived in Australia and in Portugal! I love meeting new people! Text me and you can visit the place or FaceTime me!